The imperative to re-invent yourself as a luxury real estate marketing professional has never been greater. The competition for attention on the internet now requires that you declare a highly focused , sharply defined “brand position”. To stand out from the crowd, you must stake a claim to an uncontested market niche and offer an extraordinary promise of value. Your claim to market leadership must be based on something that you can do better than anyone else in your marketplace. Now more than ever, focus is the name of the game in luxury real estate marketing. For decades Xerox was focused on one thing: plain-paper photocopying. Xerox was one of the first brand names to become a verb, just as the verb “to FedEx” has come to mean ship overnight. Although Xerox still “owns” the top-of-mind status in the prduct category of plain-paper copiers, the status has become less and less relevant in light of the transition of documents between the paper and digital worlds. This fundamental shift necessitated that Xerox completely reinvent itself and reposition the brand in the minds of its target market and substantial customer base. In the late 1980s and early 1990s, Xerox worked to transform its product offering into a service. Xerox began providing a complete "document service" to companies including supply, maintenance, configuration, and user support. Customers became clients. To reinforce this image, the company introduced a corporate signature, "The Document Company" above its primary logo. However, at this time documents still meant ink on paper. In 2008, Xerox changed its logo again to a red sphere and a white X with three grey stripes. The change is meant to shift the emphasis of the company’s focus from plain-paper document photocopying to digital document management and solutions. On July 1, 2009, another change occurred in Xerox. 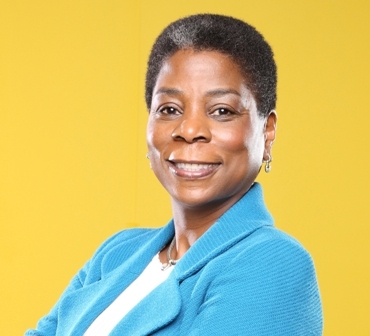 Ursula Burns became the first African American woman to head a company the size of Xerox. Under Ms. Burn’s leadership, in February 2010, Xerox acquired Affiliated Computer Services, Inc. transforming Xerox into the world’s leader in business process and digital document management. With this acquisition, Xerox now processes over one million credit card applications and twelve million student loans each year. They also provide HR (human resources) services for more than 4.4 million employees and retirees annually. Xerox’s extraordinary new promise of value is to “help our customers reach new levels of efficiency and effectiveness, giving them the freedom to focus on what matters most: their real business”. From product oriented to service oriented, from paper documents to digital document management and out-sourced business processes Xerox has undergone an astonishing metamorphisis, a total shift in focus.